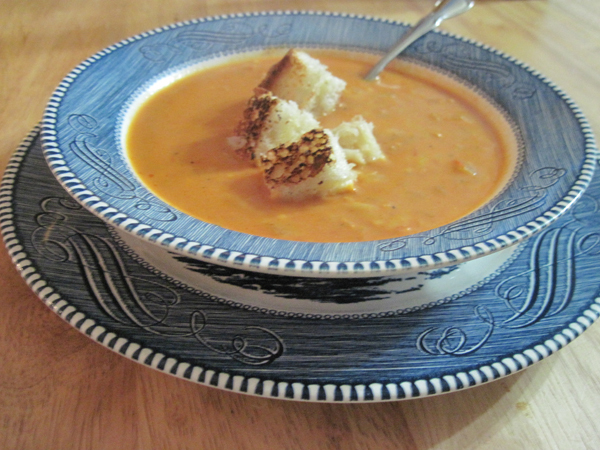 Anywho, as per our weekly tradition I made soup for the game. This week I made a surprisingly good one. 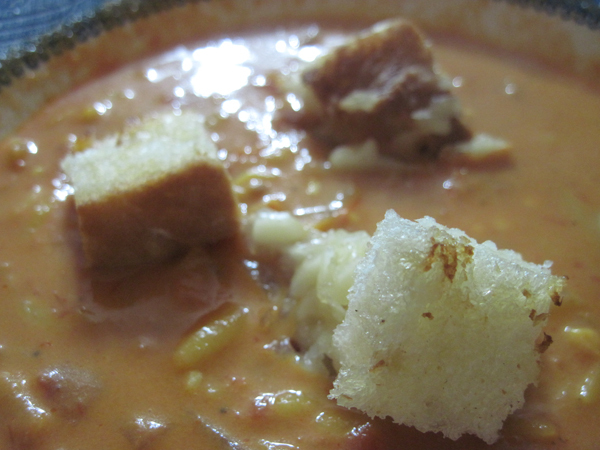 Surprisingly good in the fact that it is tomato soup, which I normally don’t like. 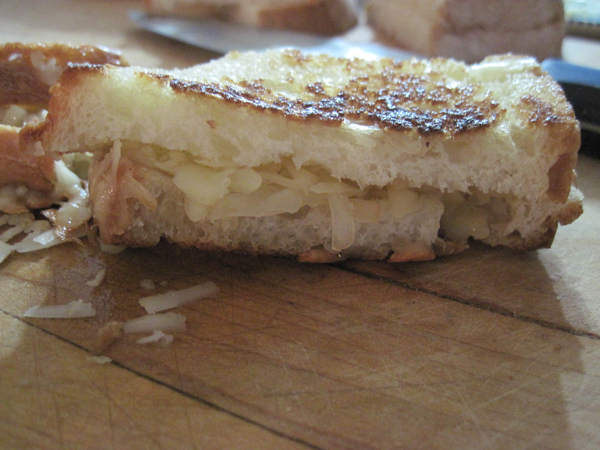 But this one is from Ina Garten, has saffron, grilled cheese croutons, and orzo, and you just can’t argue with that. A word about the saffron, because normally that stuff is very expensive. I get it at Penzey’s, so it’s cheaper, plus I figure since there is no meat in this dish it’s worth the splurge. We spend about $5 for the spice for this dish, but that includes dinner for the whole family and a few leftovers for lunches. 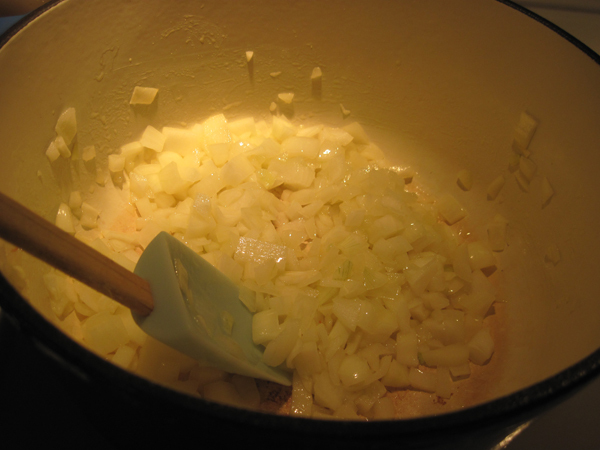 You start with onions. Three of them. 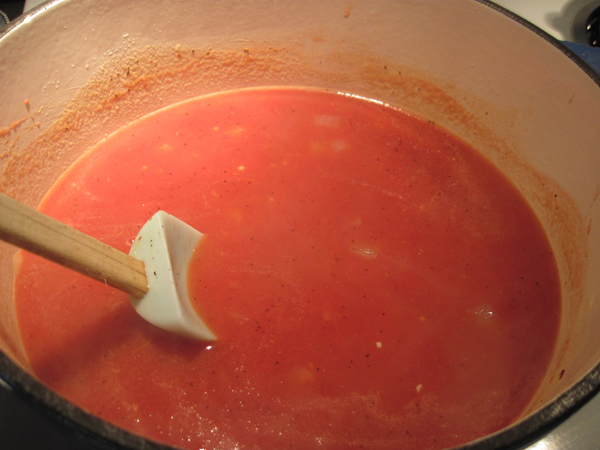 Sweat ’em out, and add some garlic. 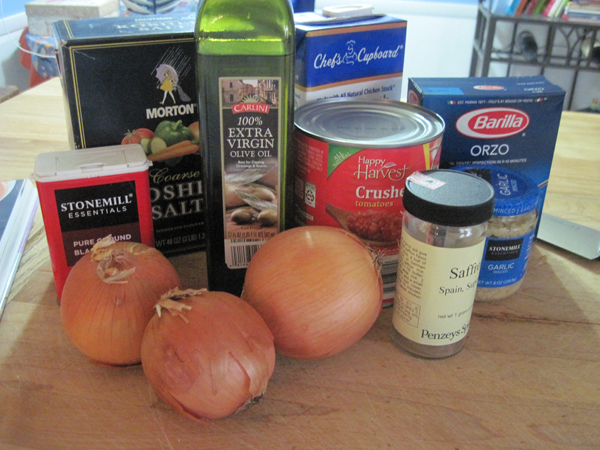 Then, a can of crushed tomatoes, which sounded gross to me when I first read this but it works in here. Add the saffron, chicken stock, and salt and pepper in this step. Let it simmer for about 15 minutes. 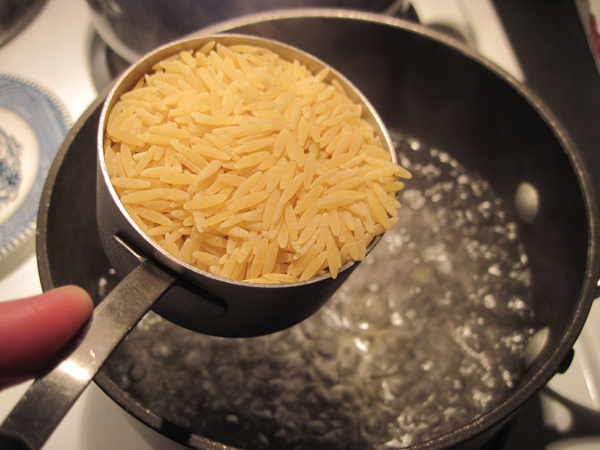 Cook the orzo for 7 minutes in boiling, salted water. Don’t overcook, because it continues cooking in the soup. Just enough to get it started. Then you stir in cream and cook for ten minutes more. 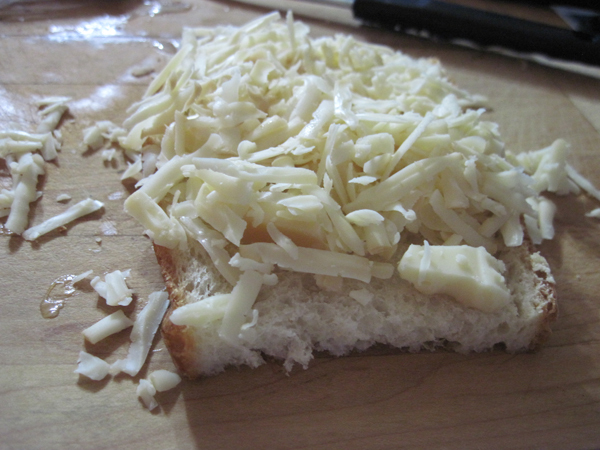 And shread some cheese. 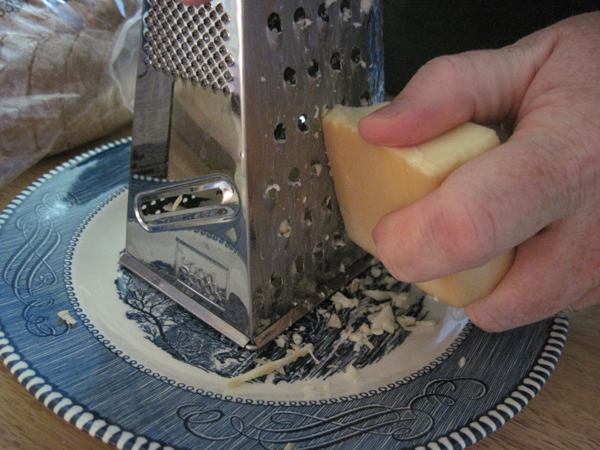 We used a smokey Gruyere and my husby volunteered to do the shredding. Wasn’t that nice? 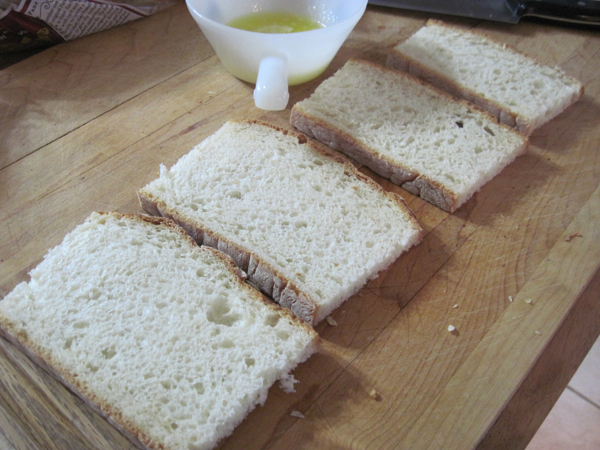 Then grill the sandwiches and cut them up into bite sized croutons. And place on your soup. Get the full recipe here. Incidentally, this recipe is included in Ina’s book Foolproof, and it really is. So ridiculously easy, and tastes like you worked on it for a whole day.